This week I’d like to share with you our second guest blogger from the Master of Science in Global Medicine program at USC, Lily Sheshebor. Lily on the dock ready to get picked up for clinic. I have always thought that I wanted to be a doctor. I volunteered at clinics, studied rigorously for my MCATS, and dedicated hours to memorizing facts for my pre-med courses. My passion for medicine was evident, yet my drive to continue pushing through the numerous obstacles before medical school was beginning to mitigate. I was tired, stressed, and scared that I would not become accepted. Attending USC for my Master’s of Science in Global Medicine, I was given the opportunity to study abroad in Panama for the summer. 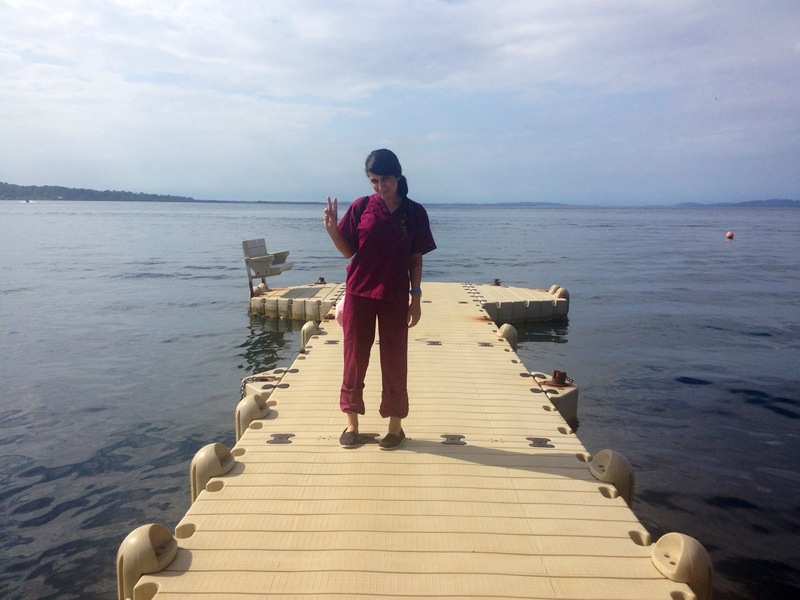 Those couple weeks, while working closely with the volunteers of the Floating Doctors, gave me back the energy for my passion. I quickly remembered why I am committed to the world of medicine. The first “clinic day” that we had was the most memorable experience of my life. I was very anxious the days leading up to our clinics as I had never worked in rural settings nor an international nation. Stories of past clinics included many infectious and contagious diseases that were somewhat concerning and I was nervous that I would let the group down in terms of executing various clinic tasks. Early morning, we were picked up with a small boat and sailed through the beautiful archipelago of islands to reach the community of Cerro Brujo. Wearing our scrubs and carrying bags of equipment up the hill, I immediately felt a sensation of motivation. I realized we had arrived and we would soon be apart of medical access that the individuals of this island greatly lacked. Getting your nails painted is a popular activity anywhere in the world. We were asked by the head doctor, Dr. Ben, to split into groups and inform the community that our clinic has arrived. I wanted to tell everyone and split from our group with another student to cover more ground. Since the people of Cerro Brujo only speak Spanish, my years of high school Spanish were paying off as I told the families and children to spread the news. Once the clinic began to commence, the motivation that started earlier grew into dedication. I did not stop working and loved every minute from checking patients into the clinic, beginning a new chart, taking a medical history and vitals, shadowing the doctors, to the overall interactions with the patients. 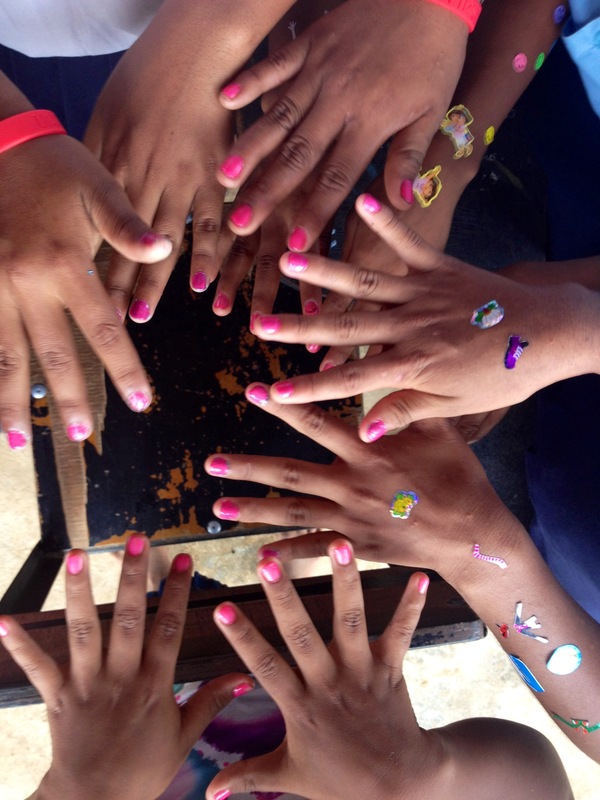 After our clinic was coming to an end, we were able to distribute stickers, paint the kids’ nails, hand out coloring books, and take millions of pictures. The children were one of the most beautiful children I have ever met. Their eyes were so shiny with excitement that they had new friends and memories aside from their everyday lives. I wanted to give everything I owned to these children from every crayon in my bag to the peanut-butter sandwich and chips from my lunch. Leaving the island that day, I was not only exhausted from the day’s work but I was in love with the power of helping those in need. I knew that my small part with the Floating Doctor collaboration was important but it was not enough. This organization that has dedicated its life to improving and helping the poor communities of rural Panama is savior of these people. These islands lack money, transportation, clean water, adequate housing and sewage, protection, and care. The country does not care to reach out to these communities but Floating Doctors does. The power of passion is why our world has not yet been defeated. The volunteers of Floating Doctors have that passion and have re-inspired my passion for medicine. Lily and two other USC students making new friends.